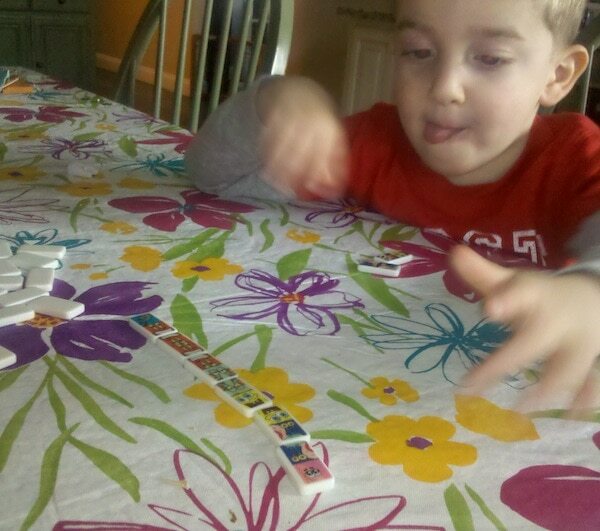 For $1 I bought a box of dominos and my kids play with it every single day. EVERY SINGLE DAY. We play the way it’s intended OR we just knock them down… again and again. So, who says you need to spend a ton of $$ to have fun with your kids?! 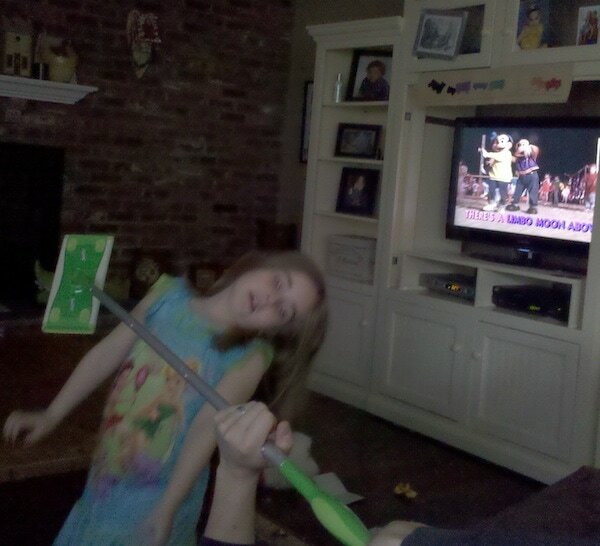 Oh and here is Natalie doing the limbo with a Swifter. LOL! !